i am still trying to use up that giant zucchini that we bought last week at the farmers market. thus, zucchini for breakfast! 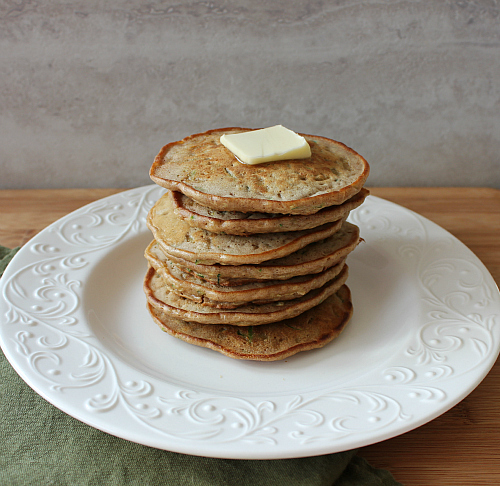 everyone is well acquainted with zucchini bread, so how about zucchini bread pancakes? 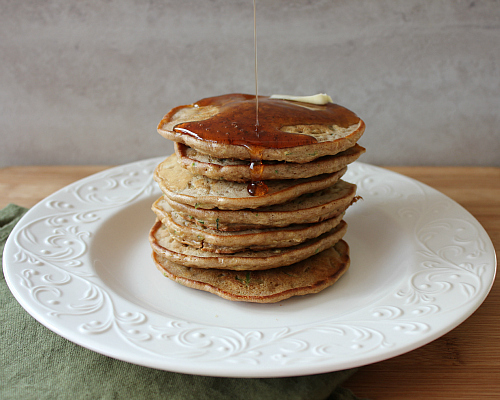 these pancakes are chock full of zucchini. they are the perfect way to use up your left over summer zucchini. the cinnamon and nutmeg give them such a great flavor too. in a large bowl, whisk together the egg, oil, sugar, and vanilla until smooth. stir in the zucchini. sift the flour, baking soda, and spices into the batter. stir well to combine. heat a lightly buttered griddle or frying pan on medium heat. pour 3 tablespoons of batter onto the griddle for medium-size pancakes. flip the pancakes when they start to bubble. cook until each side is golden brown and the pancakes are cooked throughout. serve hot with maple syrup. YUM. Those look delish! Can't wait to try it. 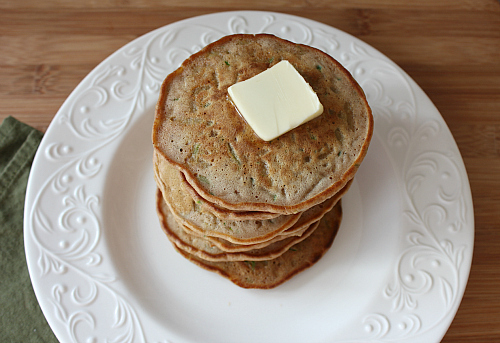 That is a good way to use zucchini and adds a healthy note to the pancakes. Looks tasty.